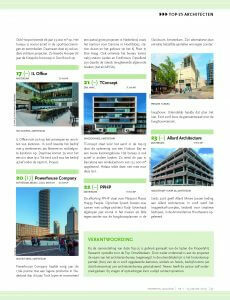 We are proud that we are in the top 25 of Dutch commercial architectural offices! Just some weeks after the celebration of our five year anniversary. Unfortunately they could not include our international projects.